I've been sitting for a little while, debating whether to make this post or not. I took the photos with my new HTC. Now I have no complaints other than the neon plays games with it. Maybe it's just me but (bar my index in the first) the camera makes the nails look blurry. Just the nails though?! :/ Weird but enough about that. I wasn't going to post this yet, but I thought I better snap some photos before I get serious tip wear. 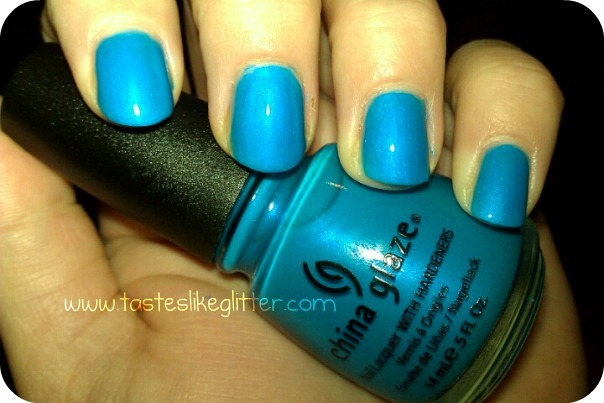 Last year China Glaze released a collection called Poolside. It was a line up of six bright neons. Of which I have half. This is the first one I've posted about, though Kiwi Cool-Ada cheekily got into a WW. This is the first time I've worn it since I've got it. Lord knows why, it is a beauty. I'd always heard neons were notoriously hard to work with. These aren't to difficult. I laid down a very very thin first coat, over Seche Base (you could also use a white undercoat, I hear that's a good option). 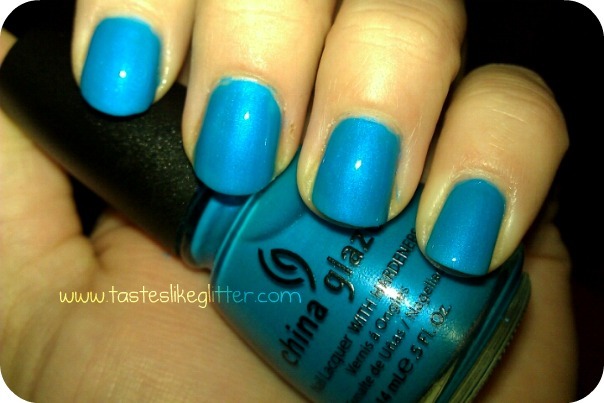 Then topped it with two regular coats and a topping of Seche to make it super glossy. Towel Boy Toy is a bright neon blue with soft brighter blue shimmer. It's the odd one of the collection as all the others are cremes but I like the way the shimmer lifts it from being just a regular flat bright blue. Very evident under the flash and in bright lights, not so much regularly. And I just realised my last three posts were all nails. Should really get some makeup in there somewhere ... Sorry about that!